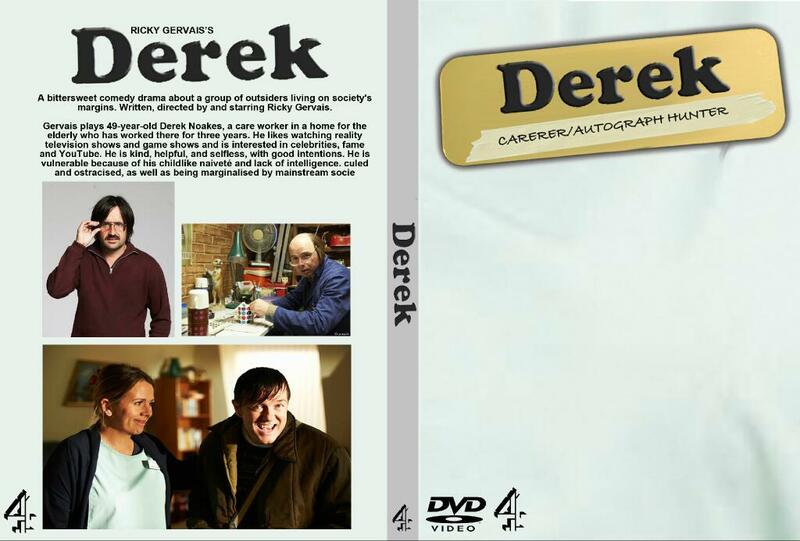 This morning Ricky Gervais set a challenge on Twitter for the legions of Derek fans to design a Derek DVD cover and already we've been sent some fantastic creations and I'm sure there are more to come. 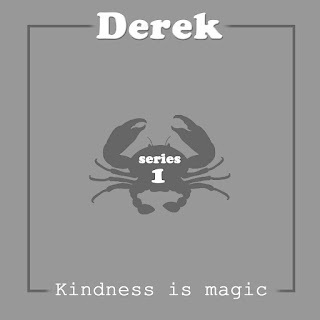 I will keep adding to the selection as tweets and emails come in so bookmark the page or follow @tadpole_hitler on Twitter for regular updates! 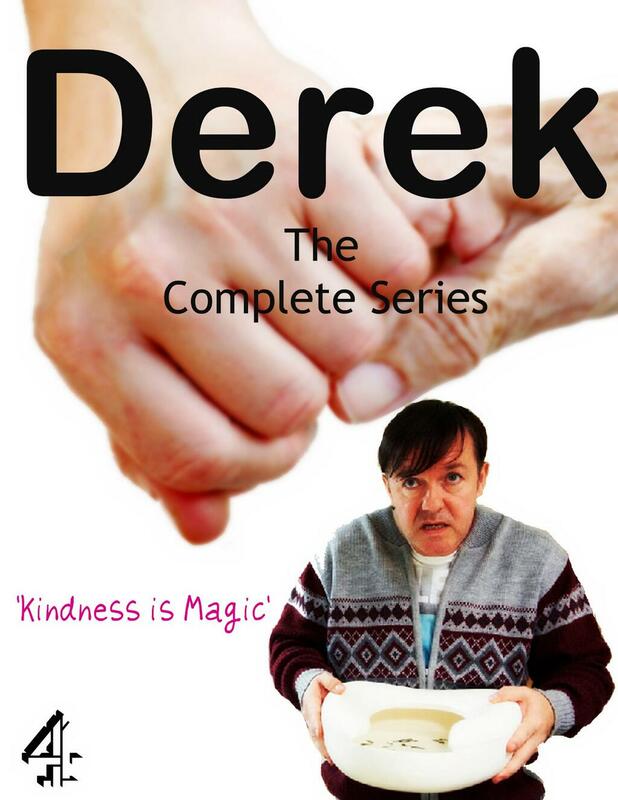 Just the disc, but fantastic nonetheless! 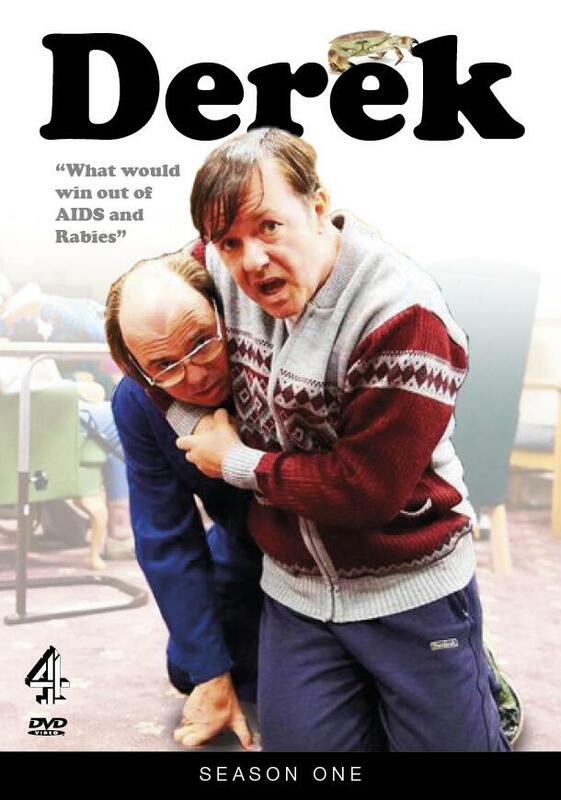 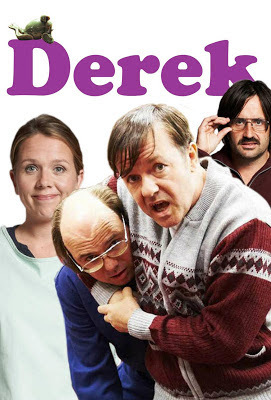 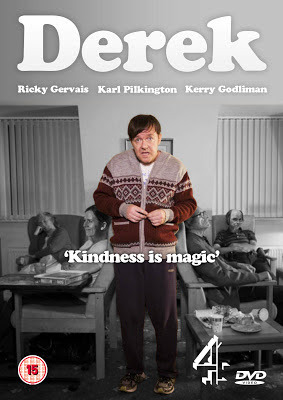 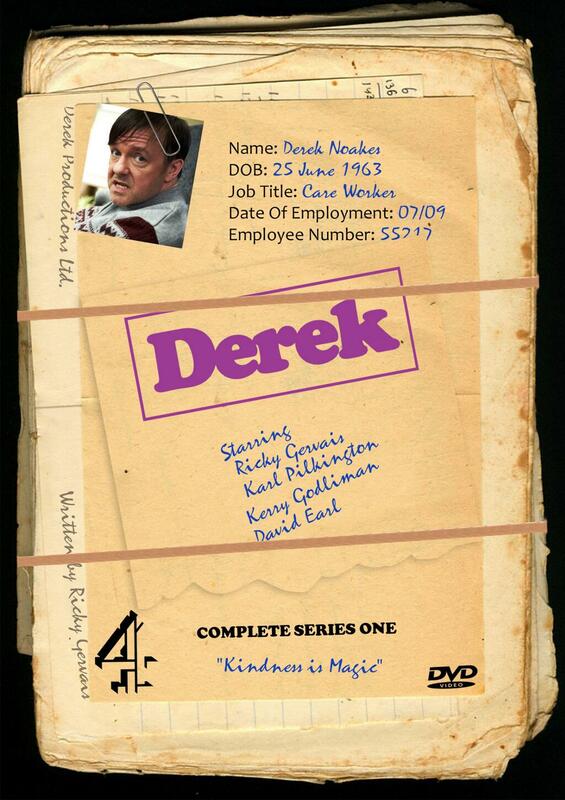 Keep your Derek DVD artwork coming. 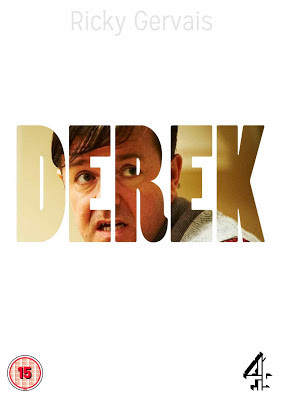 Simply tweet your picture to @tadpole_hitler or email tadpolehitler@gmail.com! I really like #1. 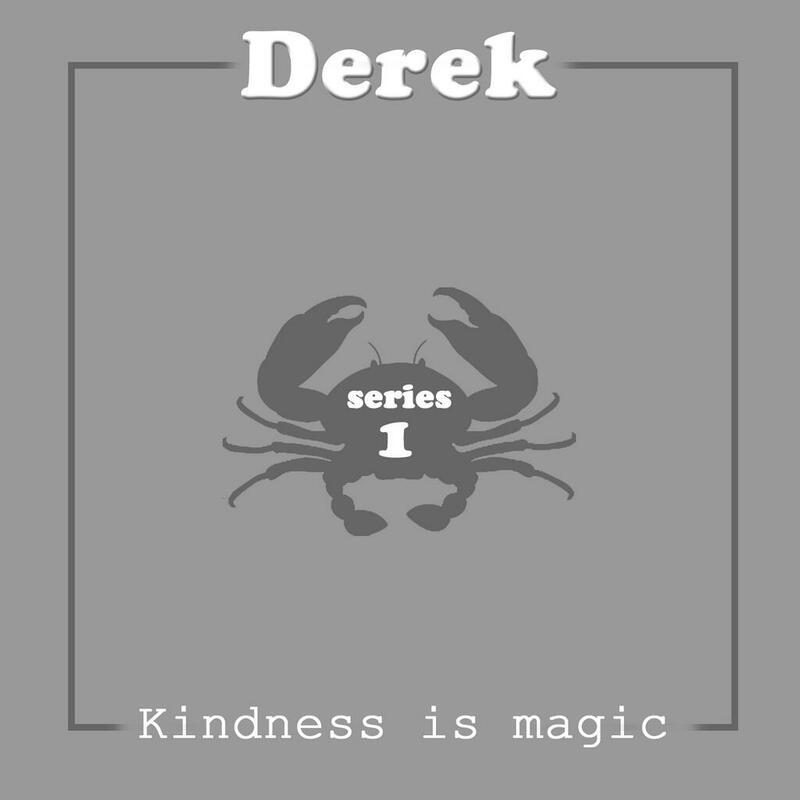 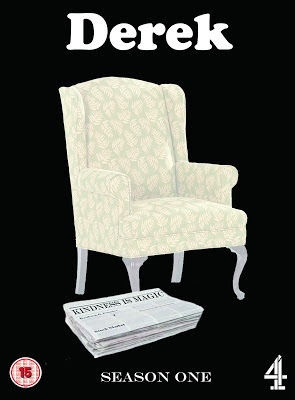 Simple design and I love that they included "Kindness is magic". 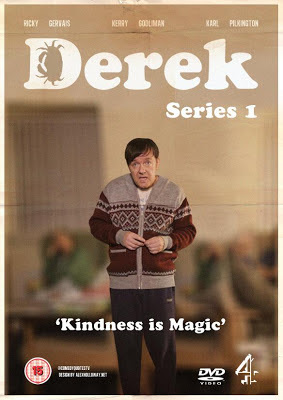 These are all awesome! My faves would have to be 5 and 1. 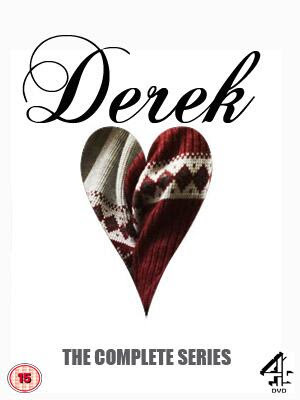 I can't decide which cover is the best, if i had to choose it would be 13 as it has that kind of classic look and the way the person has left Derek coloured really stands out but as i say there all really good! 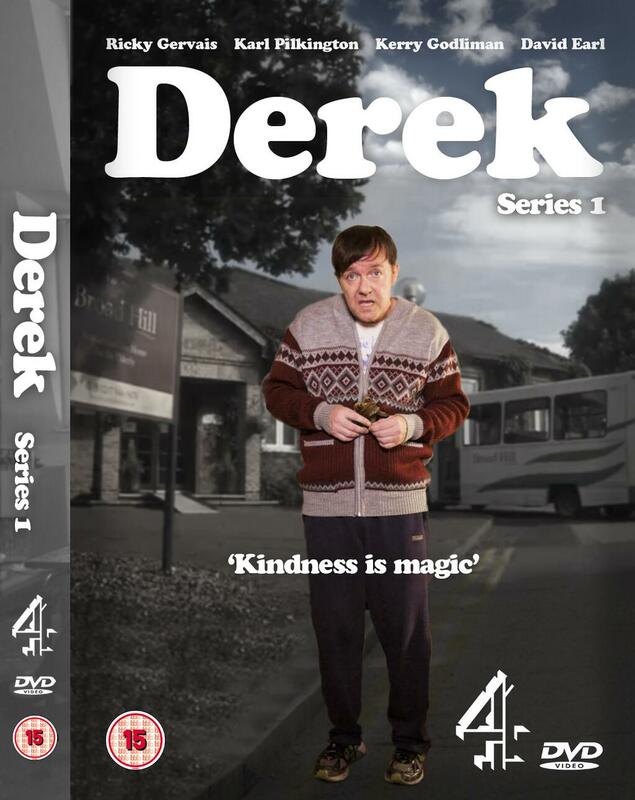 The one i think would look best as a DVD cover is definitely number 15, all the others are awesome though, but 15 really does it for me. Really good idea to do this - I like the simplicity of many of them; but for me - #14 reflects the comedy and the tenderness of the show. Needs a bit of refinement - but defo #14. One! 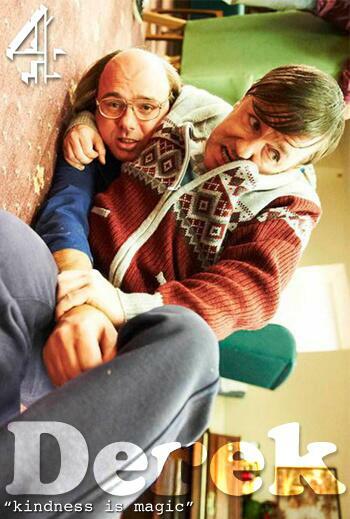 haha and 10 & 11 are brill!